Design Journal, Design Publications, ADEX Awards, Archinterious and Responsible Design Alliance International are committed to protecting your privacy. Design Journal, Design Publications, ADEX Awards, Archinterious and Responsible Design Alliance International ("we", "us" or "our") safeguards your personal information to maintain customer trust. There are two types of information collected on designjournalmag.com, adexawards.com, archinterious.com and rda-i.org: Personally Identifiable Information and Non-Personally Identifiable Information. Personally Identifiable Information ("personal information") is information that identifies you as an individual, such as your name, mailing address, email address, age range, etc. Personal information is only obtained when you voluntarily provide the information to us. Design Journal, Design Publications, ADEX Awards, Archinterious and Responsible Design Alliance International uses personal information to better understand your needs and interests and to provide you with better service. For example, you may be asked to voluntarily submit your email address to us when communicating with us. On occasion, Design Journal, Design Publications, ADEX Awards, Archinterious and Responsible Design Alliance International may ask you to voluntarily submit information about other people. For example, this may be done to send them a link to a web page. Once you choose to provide us with personal information, you can be assured it will be used only to support your relationship with Design Journal, Design Publications, ADEX Awards, Archinterious and Responsible Design Alliance International. We take seriously the trust you place in us and will not sell, rent or lease your personal information to others. Non-Personally Identifiable Information ("non-personal information") is information that does not identify you as an individual, such as your browser type, IP Address, the URL of the previous web site you visited, etc. Design Journal, Design Publications, ADEX Awards, Archinterious and Responsible Design Alliance International may automatically collect certain types of non-personal information from you when using designjournalmag.com, adexawards.com, archinterious.com and rda-i.org. We may also collect non-personal information that you voluntarily provide, such as information included in response to a questionnaire or survey. Design Journal, Design Publications, ADEX Awards, Archinterious and Responsible Design Alliance International's primary purpose in collecting personal information on designjournalmag.com, adexawards.com, archinterious.com and rda-i.org is to provide you with a safe and efficient experience and to provide you with services and features that better meet your needs or requests. We only collect information that we consider necessary for achieving this purpose. Design Journal, Design Publications, ADEX Awards, Archinterious and Responsible Design Alliance International collects data when you provide information to us or through the use of web technology. If you choose to use certain services on designjournalmag.com, adexawards.com, archinterious.com and rda-i.org, we may require you to provide contact and identity information. Where possible, we indicate which fields are required and which fields are optional. If you choose not to use a particular service or feature, you do not have to provide the contact or identity information it calls for. designjournalmag.com, adexawards.com, archinterious.com and rda-i.org may use cookie technology to improve your experience on designjournalmag.com, adexawards.com, archinterious.com and rda-i.org and gather data for web site statistical reporting. Cookie technology does not capture your individual email address or any personal information about you. A cookie is a small piece of information sent by a web site that is saved on your hard disk by your computer's browser. It holds information a site may need to personalize your experience (i.e., rotating images on designjournalmag.com, adexawards.com, archinterious.com and rda-i.org home page) and gathers web site statistical data, such as which pages are visited, what is downloaded, the Internet provider's domain name and country that our visitors come from and the addresses of sites visited immediately before and after coming to designjournalmag.com, adexawards.com, archinterious.com and rda-i.org. However, none of this is associated with you as an individual and is measured only in aggregate. To browse without cookies, you can configure your browser to reject all cookies or to notify you when a cookie is set. (Each browser is different, so check the "Help" menu of your browser to learn how to change your cookie preferences.) Your experience of the designjournalmag.com, adexawards.com, archinterious.com and rda-i.org site may be different if you set your browser to block cookies. designjournalmag.com, adexawards.com, archinterious.com and rda-i.org may use web beacons to serve advertising, enhance email advertising and track usage on designjournalmag.com, adexawards.com, archinterious.com and rda-i.org. We use third parties to manage web beacons and the data they collect. Web beacons do not capture your individual email address or any other personal information. Web beacons, also called clear GIFs (a common format for image files), are invisible files on web pages that you visit. If you visit a page on designjournalmag.com, adexawards.com, archinterious.com and rda-i.org that contains a web beacon, it communicates with your computer to determine, among other things, whether you have been to that page before or viewed a particular advertisement. Web beacons are also used on some designjournalmag.com, adexawards.com, archinterious.com and rda-i.org promotional microsites. DoubleClick offers a way for you to choose not to accept persistent cookies associated with these beacons. designjournalmag.com, adexawards.com, archinterious.com and rda-i.org may collect IP addresses for the purposes of systems administration, server problem diagnosis and compiling aggregate information (such as how many visitors logged on to designjournalmag.com, adexawards.com, archinterious.com and rda-i.org). When you visit a particular web page on designjournalmag.com, adexawards.com, archinterious.com and rda-i.org, our servers log your IP address. An IP address is a number that is assigned to your computer automatically when you use the Internet. Design Journal, Design Publications, ADEX Awards, Archinterious and Responsible Design Alliance International employs other companies and individuals ("agents") to perform services on behalf of designjournalmag.com, adexawards.com, archinterious.com and rda-i.org, such as administering sweepstakes and contests, sending emails, providing marketing assistance, web site management and analyzing data. Such agents will have access to personal and non-personal information only as necessary to perform their services for us and are not permitted to use it for any other purpose. Design Journal, Design Publications, ADEX Awards, Archinterious and Responsible Design Alliance International may also work with other companies ("partners") to provide co-branded services or promotions. To provide a co-branded service to you, it may be necessary for us to share your personal information with our partners. The partner will only be able to use the information as necessary to perform the requested service or in aggregate form for statistical reporting. (c) investigate, prevent or take action regarding illegal activities, suspected fraud, situations involving potential threats to the physical safety of any person or violations of the terms and conditions of using designjournalmag.com, adexawards.com, archinterious.com and rda-i.org. designjournalmag.com, adexawards.com, archinterious.com and rda-i.org will contact you only if you elect to be contacted. If you choose to receive email messages, designjournalmag.com, adexawards.com, archinterious.com and rda-i.org may periodically send you email messages describing updates, new features or promotional offers related to this web site. You can choose to stop receiving this email at any time. Simply follow the instructions included in your email or send a reply stating your request. 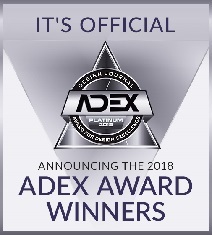 If you do not explicitly choose to receive informational emails, the only email messages you will receive from designjournalmag.com, adexawards.com, archinterious.com and rda-i.org will be in response to email inquiries that you send us. At any time, you can "opt-out" of receiving direct mail and marketing material from designjournalmag.com, adexawards.com, archinterious.com and rda-i.org, such as product and service updates, by following the instructions included in your email or by sending a reply stating your request, and we will make the requested changes. 07. Children's privacy designjournalmag.com, adexawards.com, archinterious.com and rda-i.org is not intended for use by children. We do not knowingly collect information from children under the age of 13. If we learn that personal information on a child under the age of 13 is collected, we will delete that information from our systems. We encourage parents and guardians to be familiar with the web sites that their children visit. The security of your personal information is very important to us, and we are committed to protecting the information that we collect. 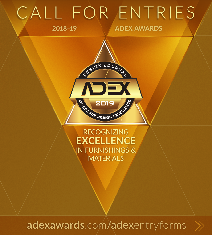 We have security measures in place at our facilities to protect against the loss, misuse or alteration of information that Design Journal, Design Publications, ADEX Awards, Archinterious and Responsible Design Alliance International has collected from you at our web site. Unfortunately, no data transmission over the Internet or any wireless network can be guaranteed to be 100 percent secure. As a result, while we strive to protect your personal information, Design Journal, Design Publications, ADEX Awards, Archinterious and Responsible Design Alliance International cannot ensure or warrant the security of any information you transmit to us or from our online products or services, and you do so at your own risk. Please note that whenever you submit any information to us in connection with any designjournalmag.com, adexawards.com, archinterious.com and rda-i.org-related services, you consent to Design Journal, Design Publications, ADEX Awards, Archinterious and Responsible Design Alliance International's processing of this information in the United States as necessary to provide the services in which you are participating.